DENVER, October 3, 2018 — Michelle Lucero, chief administrative officer and general counsel for Children’s Hospital Colorado, has joined the Boettcher Foundation Board of Trustees. Lucero brings a deep knowledge of the issues impacting Colorado and a commitment to advancing the state. Lucero grew up in the southwestern Colorado town of Ignacio. She attended Rockhurst College in Kansas City and received her Juris Doctorate degree from the University of Colorado Boulder. 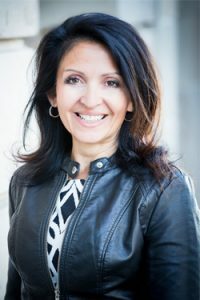 Prior to joining Children’s Hospital Colorado, Lucero served in leadership roles at Centura Health, US West and as deputy city attorney (and acting city attorney) for the City of Denver. “The Boettcher Foundation has been a force for good in our communities, and I am honored to contribute to an organization that is committed to advancing the State of Colorado and its people,” Lucero said. Lucero is an accomplished lecturer on leadership, mentorship and women’s empowerment. She serves as chief legal officer and strategist for the Papua New Guinea Tribal Foundation and was invited by the United States Embassy for Papua New Guinea to be a keynote speaker at both the 2016 and 2017 Papua New Guinea Women’s Forums. She is also the proud mother of Jordan, Alex and Noah. For more information about the Boettcher Foundation and its trustees, visit boettcherfoundation.org. At Boettcher, we believe in the promise of Colorado and the potential of Coloradans. Every day we champion excellence across our state by investing in our most talented citizens and high-potential organizations, because supporting their hard work and leadership will enable them to give back for years to come.